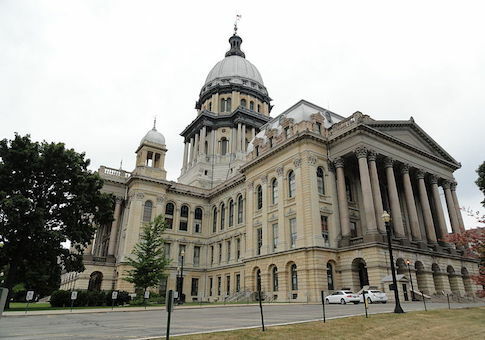 A new report by Pew Trusts points to economic improvement for states overall, but highlights ten – including Illinois – whose expenses still exceed their revenues ten years after the Great Recession. "Even in the aftermath of two recessions, most states amassed sufficient revenue between fiscal years 2003 and 2017 to cover their expenses," the report’s author, Barb Rosewicz, project director of Pew's State Fiscal Health, writes. "But total revenue in 10 states fell short, jeopardizing their long-term fiscal flexibility and pushing off to future taxpayers some past costs for operating government and providing services." The report evaluates states’ budgets and a more in-depth accounting of their financial activities to assess gaps between revenue and annual bills. Data from 2003 to 2017 reveals that New Jersey had the largest deficit, followed by Illinois. Pew reports that these two states are the only ones with aggregate shortfalls exceeding five percent of their total expenses, and with annual deficits in each of the 15 years. The ten states where expenses exceeded revenue over the long term are California, Connecticut, Delaware, Hawaii, Illinois, Kentucky, Maryland, Massachusetts, New Jersey and New York. Pew found "symptoms of structural deficits" in Massachusetts (96.1 percent), Hawaii and Connecticut (both 96.9 percent), Kentucky (98.3 percent), California and Maryland (both 98.8 percent), New York (98.9 percent), and Delaware (99.5 percent). All but California and Delaware experienced deficits in at least 10 of the 15 years, it adds. In Fiscal Year 2017, Delaware was the only state that moved from a positive to a negative long-term fiscal balance. By comparison, Alaska experienced the greatest accumulated surpluses since Fiscal Year 2003 of nearly 140 percent, followed by Wyoming (126.1 percent), North Dakota (120.8 percent), Utah (110.3 percent), and Montana (109.8 percent). Two states improved from negative to positive – Michigan and New Mexico – with Michigan having seven consecutive years of surpluses, Pew adds. Pew found that state’s revenues were primarily derived from taxes and federal grants. Most states collected a surplus in aggregate revenue to cover aggregate expenses. Ten states held a deficit, "or a negative fiscal balance," Rosewitcz notes, which included "carried forward deferred costs of past services, including debt and unfunded public employee retirement liabilities, which could constrain their future fiscal options." Bill Bergman, director of research for Truth in Accounting, told Watchdog.org, "Pew's rankings of the 50 states in this analysis tend to run in line with what we see in similar data we track. Accrual-based revenue and expenses are more important to watch than the annual budget charades. Bergman said dating to 2005, the states that regularly kept expenses in line with or below revenue, are in the best shape today financially, economically and in terms of trust in state government. "For the country as a whole, there are a lot of ‘good state examples that ‘bad states' can learn from, and unfortunately, our federal government has a lot to learn from the good states as well," he said. The Pew report lists factors that impact a state’s annual revenue and expenses: the overall economic climate, and public policy decisions that increase or decrease taxes and/or spending priorities. Reviewing all 50 states’ balances year by year, Pew notes that shortfalls occurred primarily during and immediately after the economic downturns of 2001 and 2007-09. The challenges states faced, Pew points out, were temporary; all but Louisiana, Montana, North Dakota, and West Virginia ran deficits in fiscal 2009, right after the Great Recession. By 2011, a majority of states had balanced their budgets and gained surpluses as the national economy improved. However, by Fiscal Years 2016 and 2017, more than a dozen states ran deficits, Pew notes, in part due to stagnant tax revenue growth. "The second quarter of 2017 had its weakest two-year stretch – outside of a recession – in at least 30 years," Pew says. "Like families, states can withstand periodic deficits without endangering their fiscal health over the long run," Rosewicz said. She notes that all states except Montana had one or more years in the red. "But chronic shortfalls – as with New Jersey and Illinois each year since at least fiscal 2002 – are one indication of a more serious structural deficit in which revenue will continue to fall short of spending absent policy changes," Rosewicz added. "Without offsetting surpluses, long-running imbalances can create an unsustainable fiscal situation."